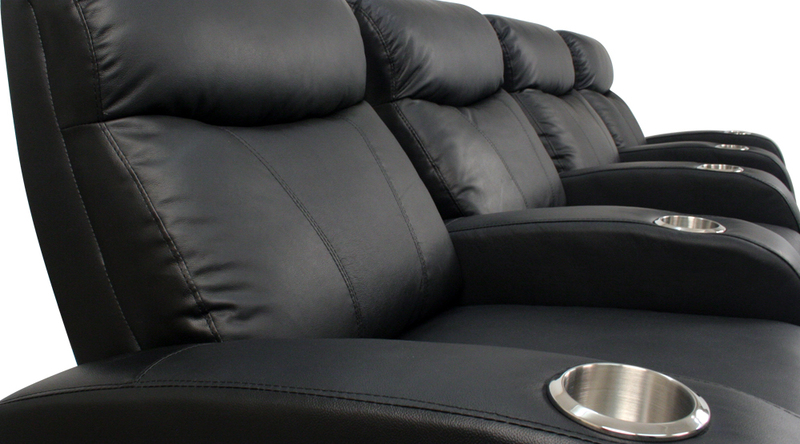 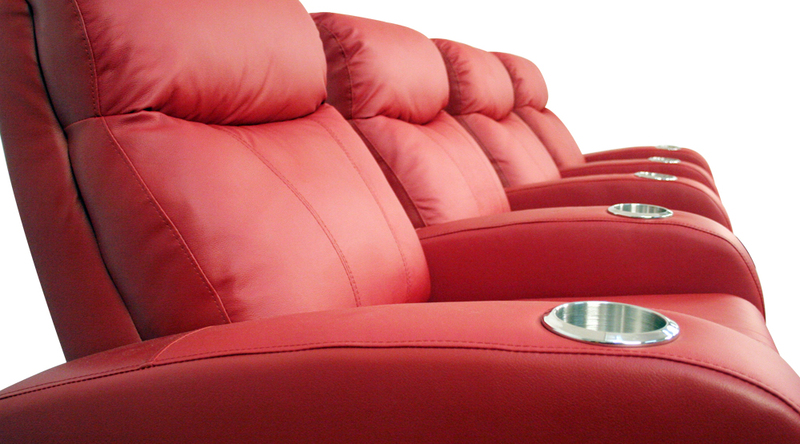 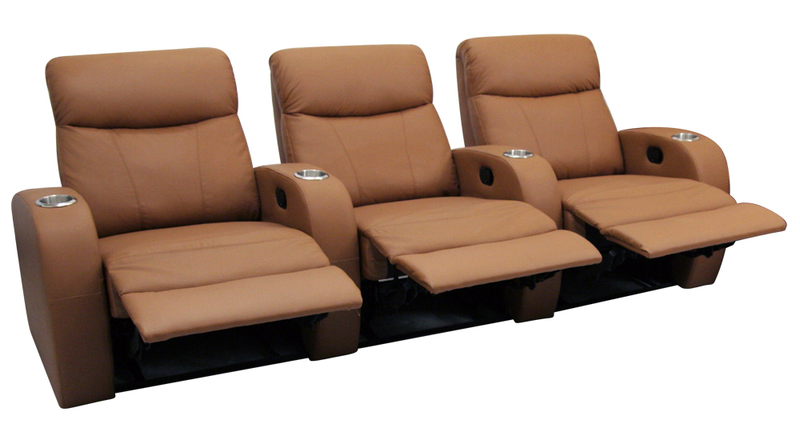 Seatcraft Rialto home theater seats are an exquisitely crafted addition to the Seatcraft line, featuring smooth lines and supple curves for a deluxe seating experience! 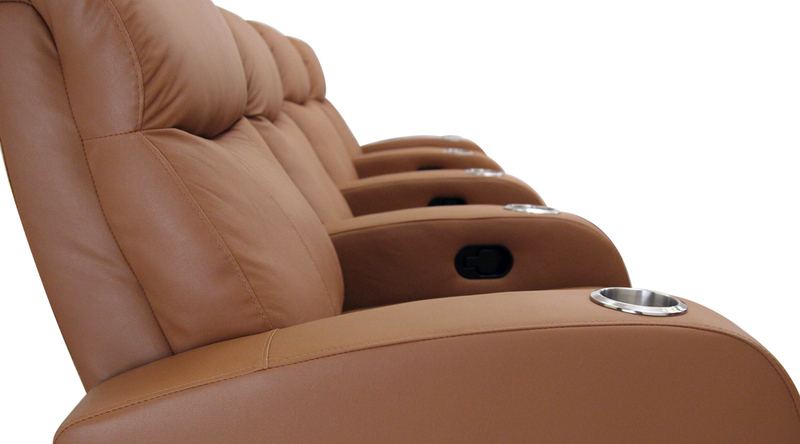 The gently curved armrests impart a sense of relaxed style, which is matched by this seat’s commitment to leisure. 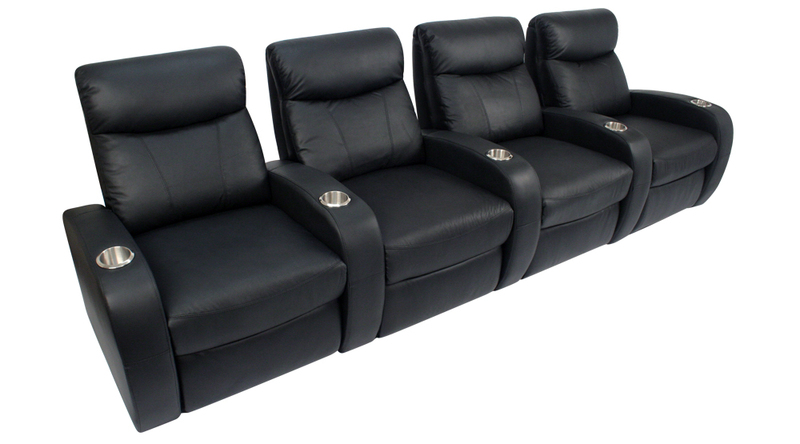 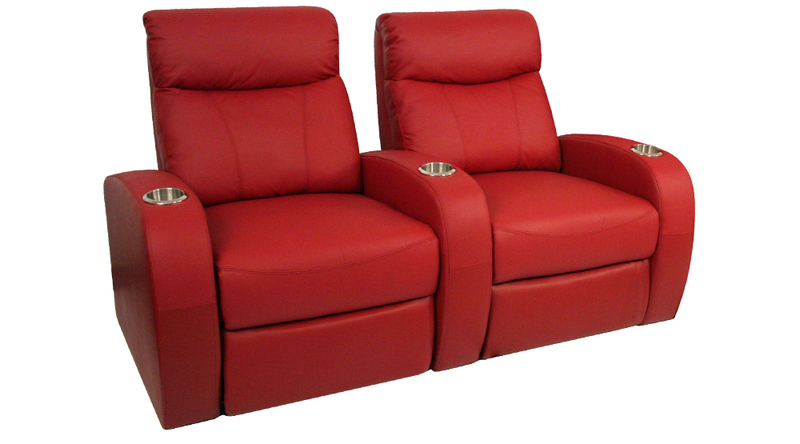 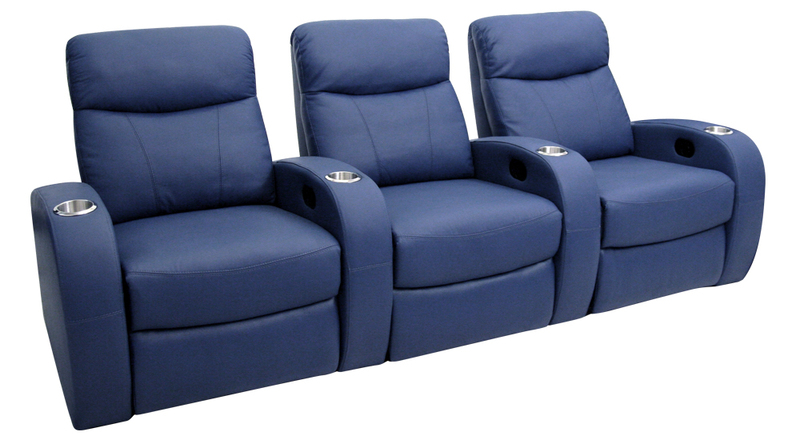 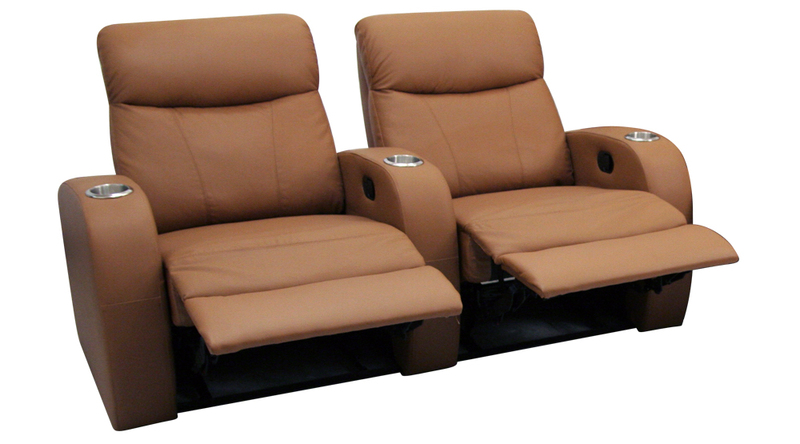 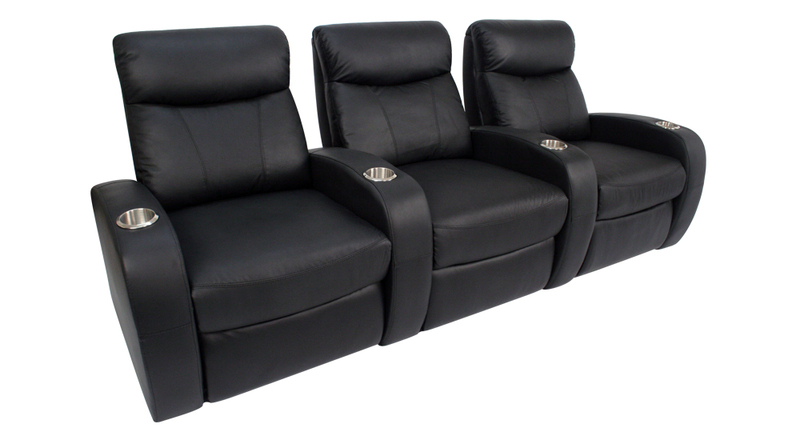 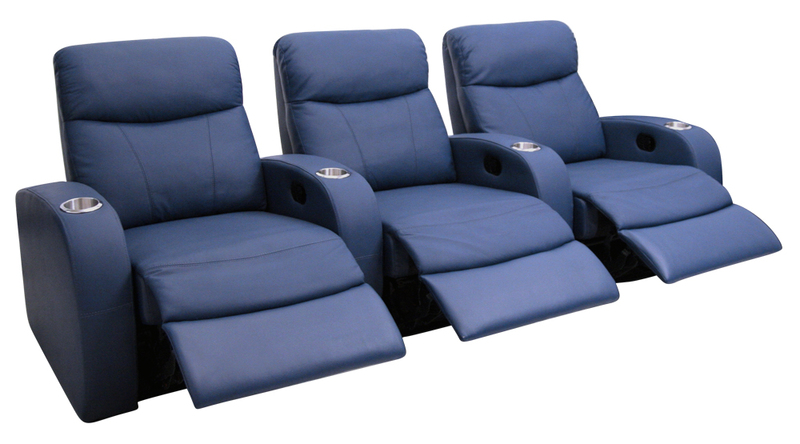 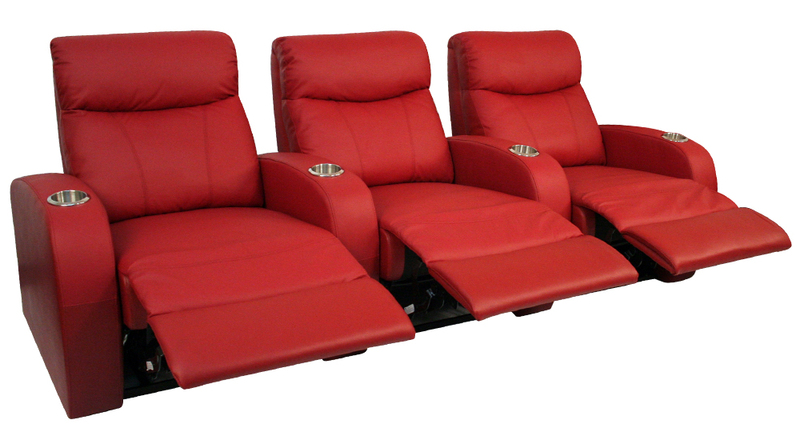 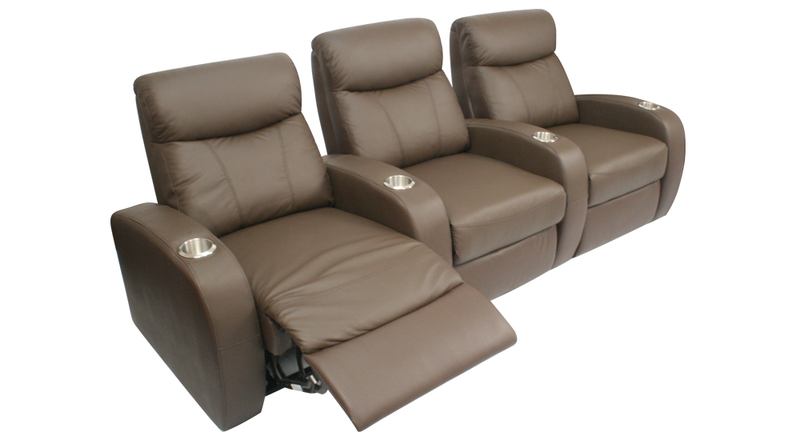 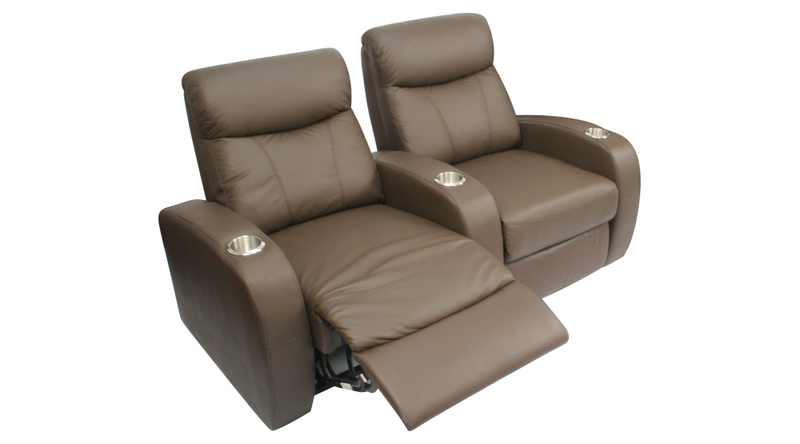 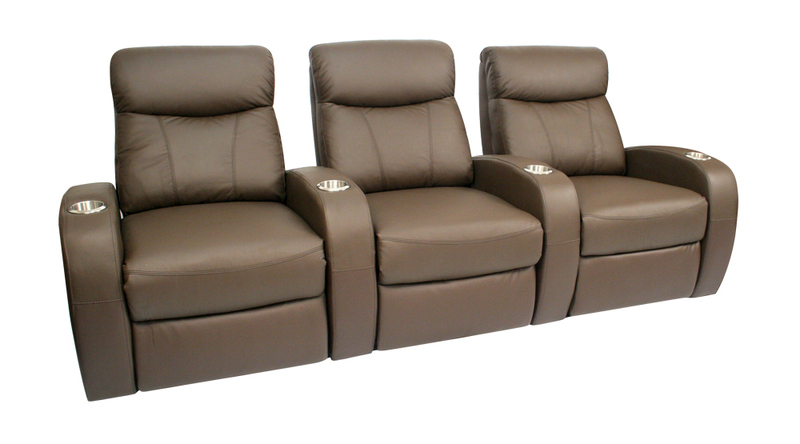 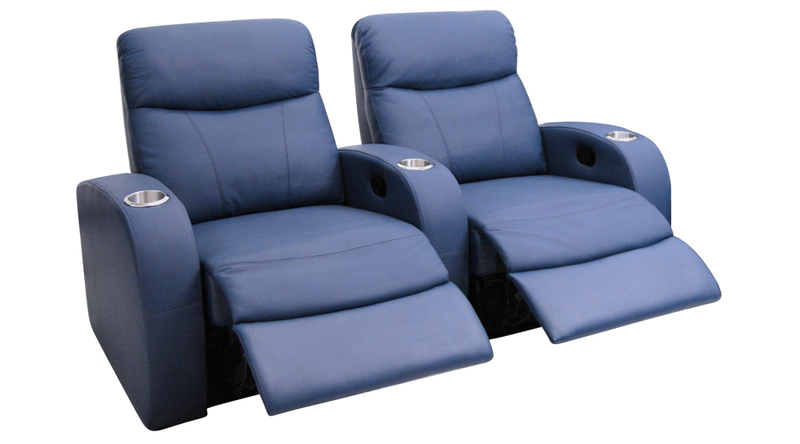 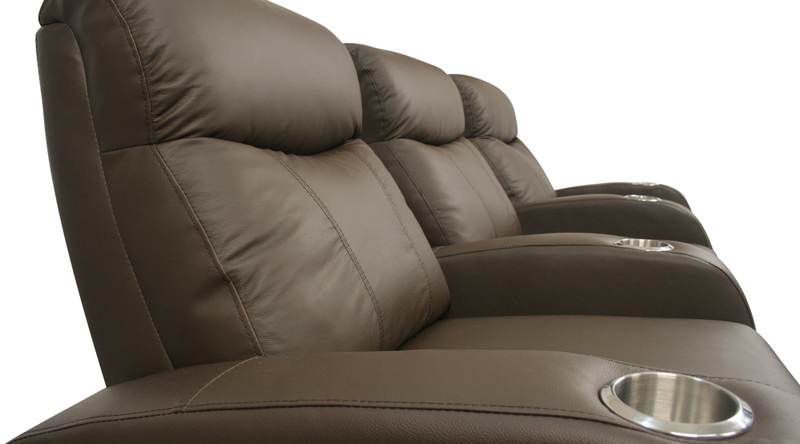 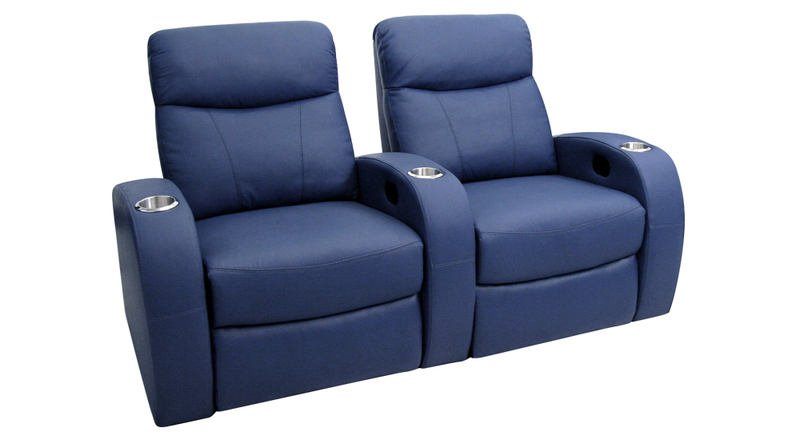 As you lay back against its padded headrests, stretching out your legs against the full support provided by chaiselounger footrests, the Seatcraft Rialto home theater seats will transport you right into the center of the screen action. 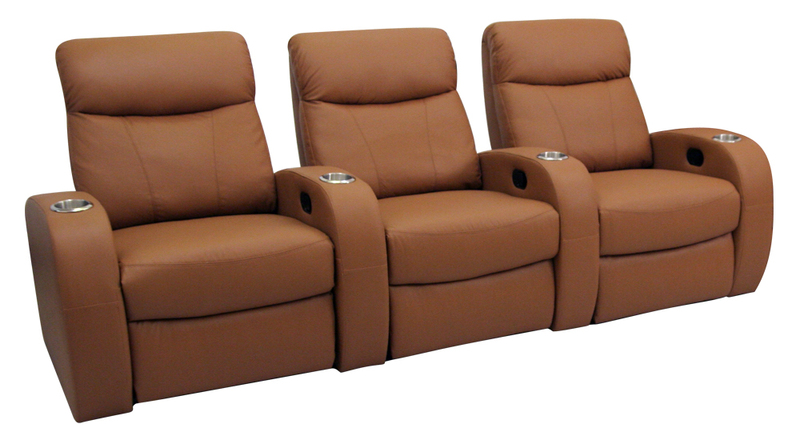 A special wall-hugger design also allows the seat to rest inches from the wall, even as you recline. 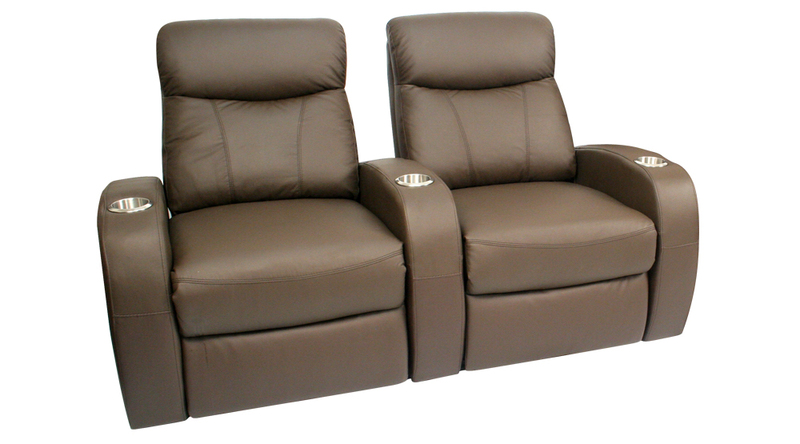 The seat comes detached, so that it can move easily through doors and into your home. 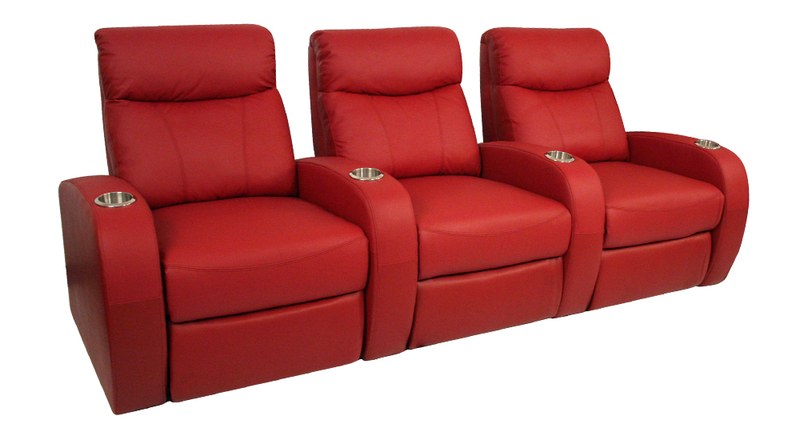 Choose from rows of 2, 3, or more, with loveseat configurations also available. 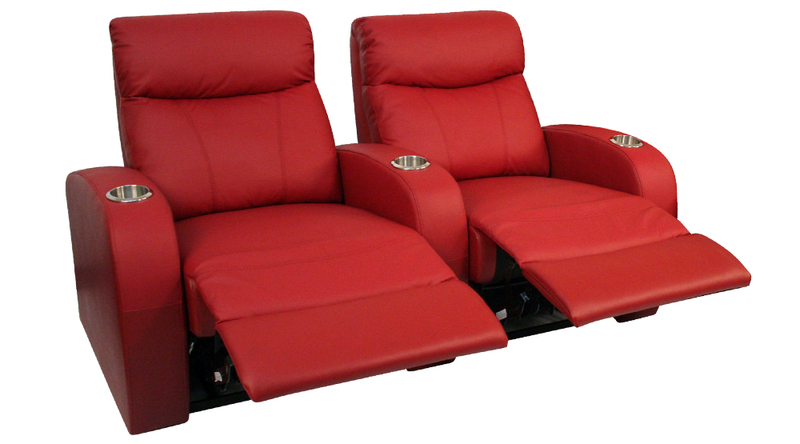 Each arm includes convenient, durable cupholders that keep your favorite drinks always in arms reach.